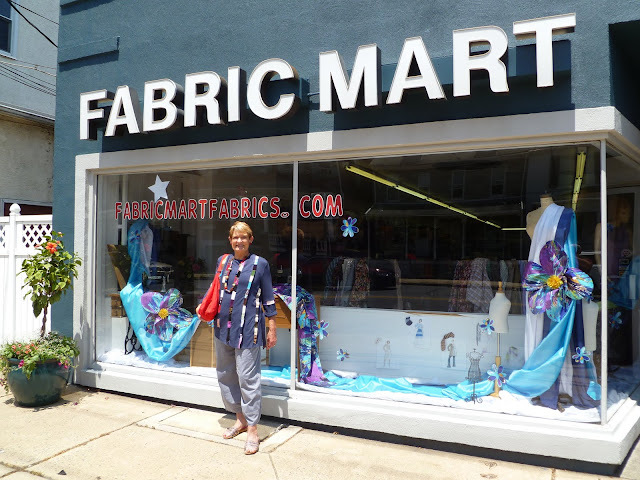 Fabric Mart Fabricistas: Fan Feature: Peggy from Deconstruct, Alter, and Create. Fan Feature: Peggy from Deconstruct, Alter, and Create. She came to visit us! 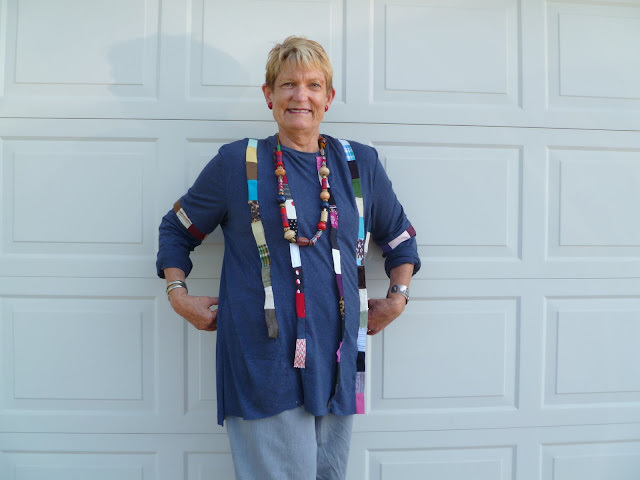 Meet Peggy, she is one of our first blog followers and a great customer. Read about her visit to see us! Peggy's creativeness to transform fabrics into unique, yet wonderful clothing ceases to amaze me. We asked Peggy to be featured on our blog because she was trying different things and having fun. We picked two of her posts that I thought best represented her blog to show you. Look at the top she made out of Julie's Pick samples! We love how she was inspired by this dress and recreated it. It was especially enjoyable to see that she didn't just blog about the final product, she showed her trials and errors each step of the way until she successfully completed the project. Check out each step in this recreation! It took her a few attempts and some perfectionism, but it looks great! 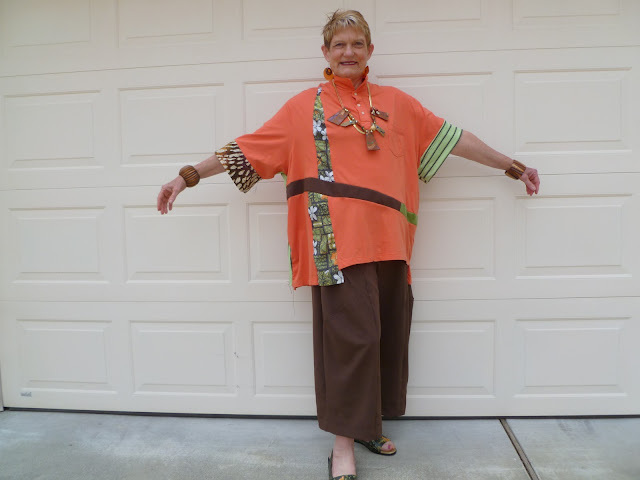 Her second inspiring post was about reconstructing old clothing into a new piece. She used her resources to piece together a brand new shirt. How creative! It is great to see someone take a fresh approach on fashion and not be afraid to try think outside of the box. Visit Peggy's blog to see more of her great projects. We hope you come visit us again soon! How cool to see my pal, Peggy, on your blog! Robert and the rest of you were great to us when we visited over a year ago. Peggy, you are too cute!!! Love your creations!